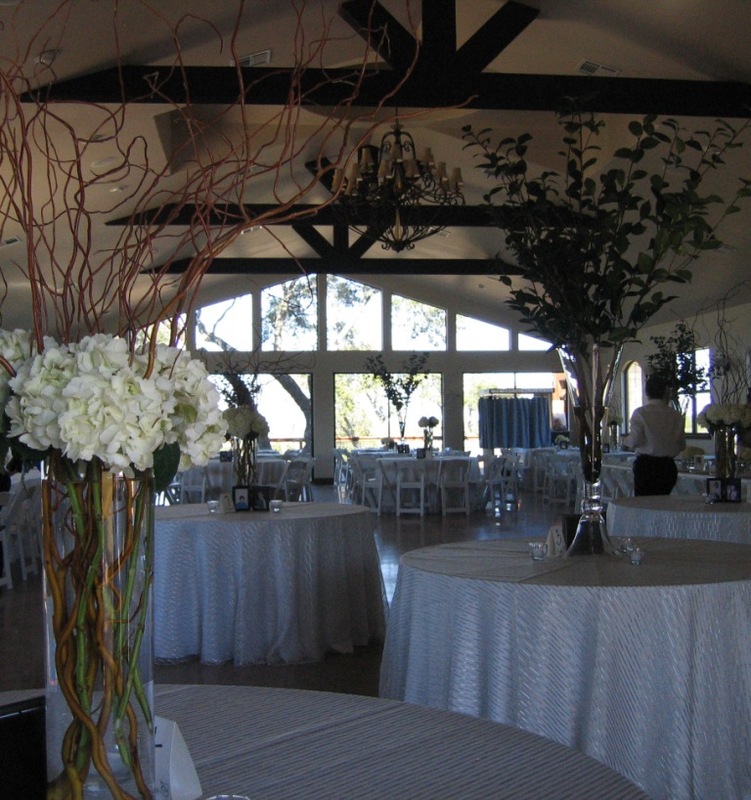 Our lovely bride wanted white flowers, greenery and berries to complement her refined palette of black, silver and white at The Villa on Lake Georgetown. 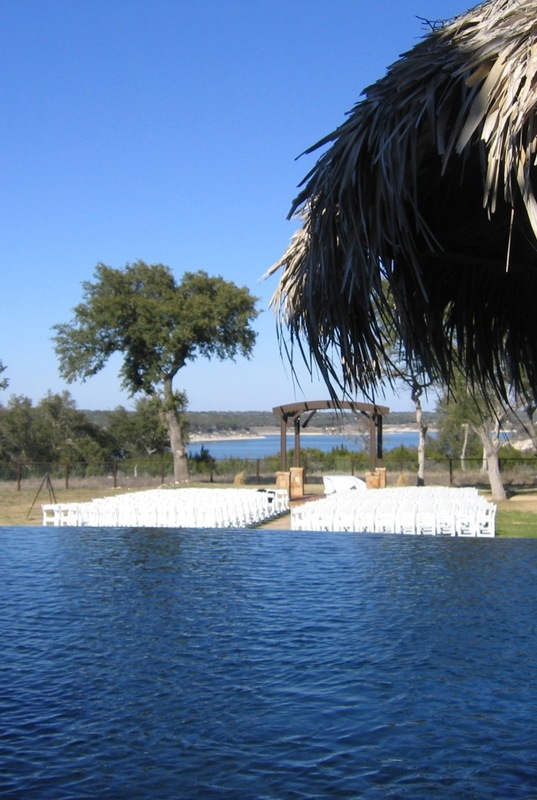 As guests proceed towards ceremony site, they are greeted with a gorgeous view. 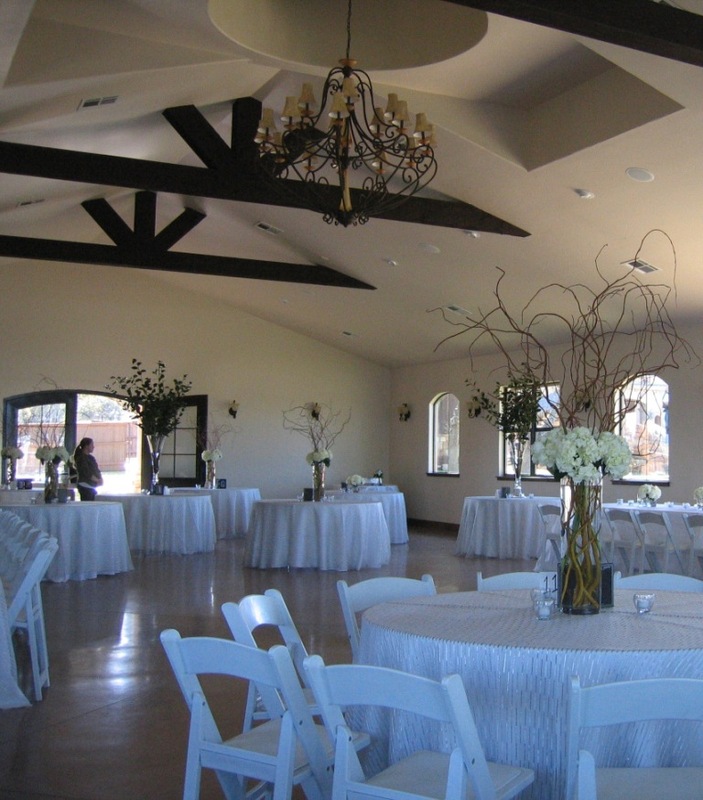 Rustic chandelier with Swarovski crystals accentuate the ceremony arbor. 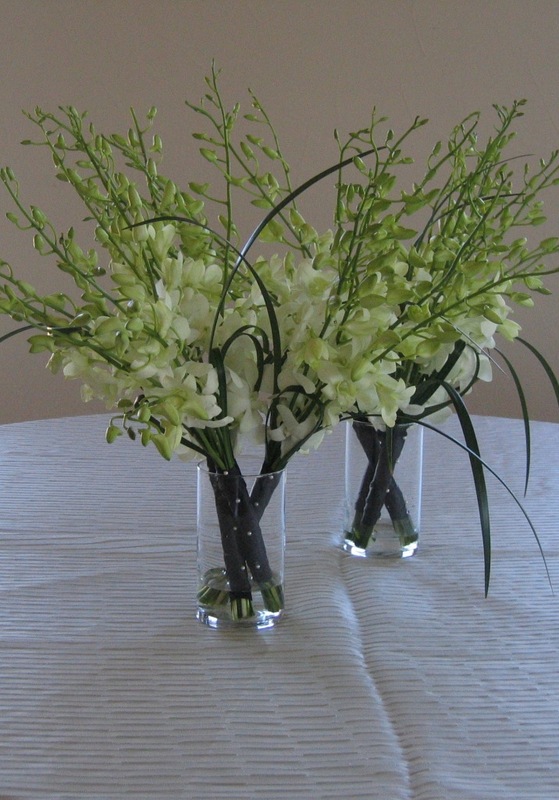 Bridesmaid’s bouquets with white orchids, simple black ribbon wrap and pearls. 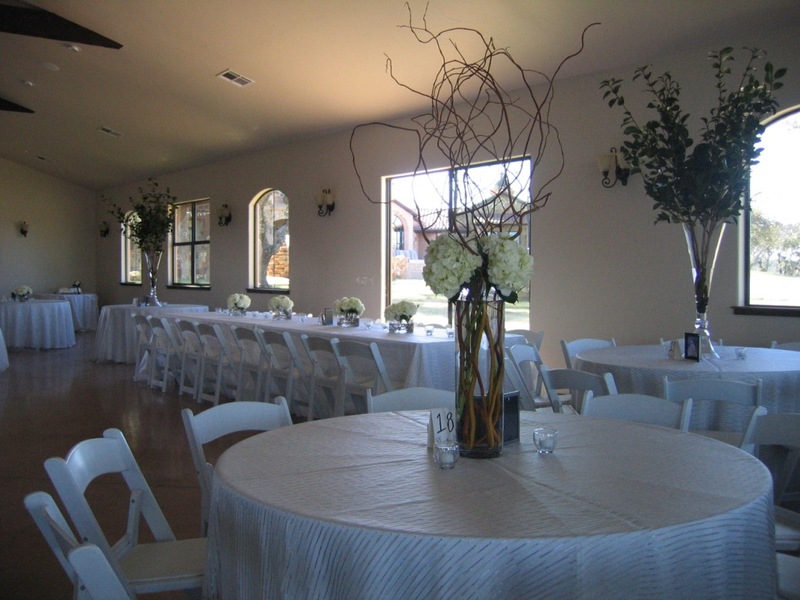 Entrance to reception accentuated with tall green trees and centerpieces of curly willow and white flowers. The King Table was flanked by green trees: Opposite side of dance floor featured a twin King Table also flanked by green “trees.” Additional trees were interspersed with other arrangements at guest tables. The overall effect was very refined. 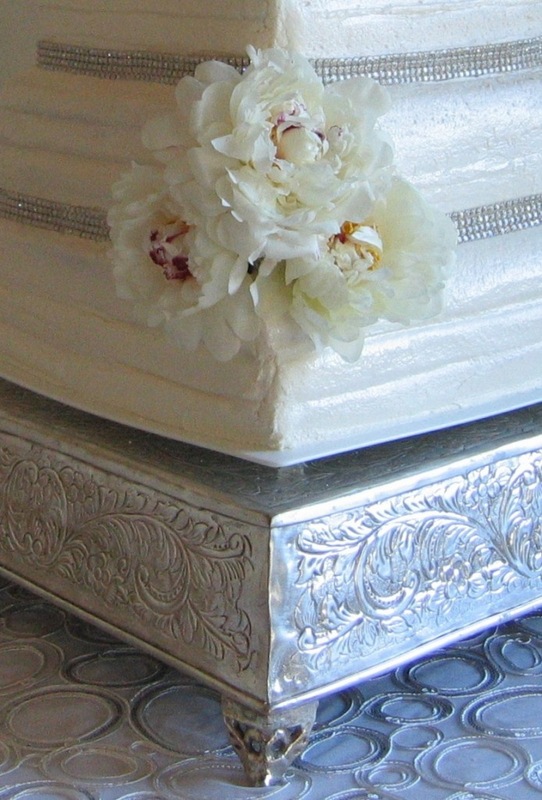 Three perfect peonies graced the wedding cake. 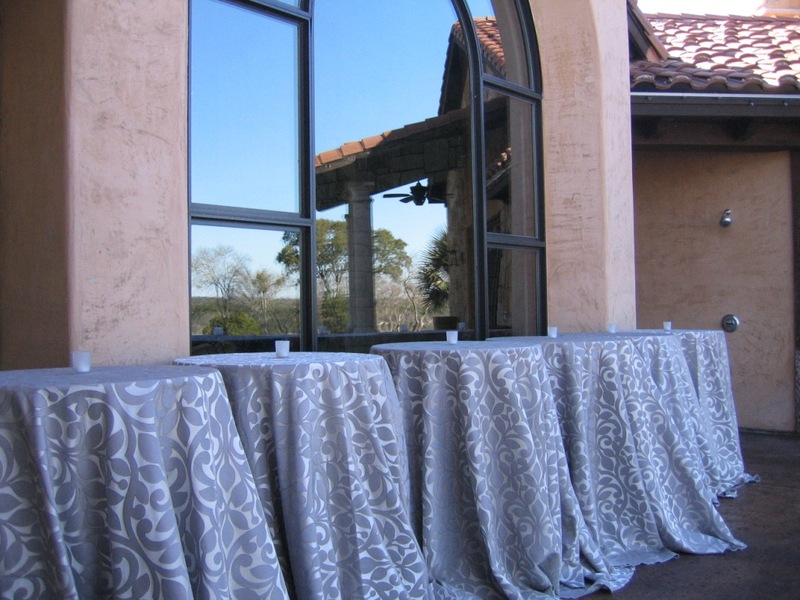 Notable vendors included Kevin Molesworth of Brass Tacks Events, Marquee, and Word of Mouth catering.